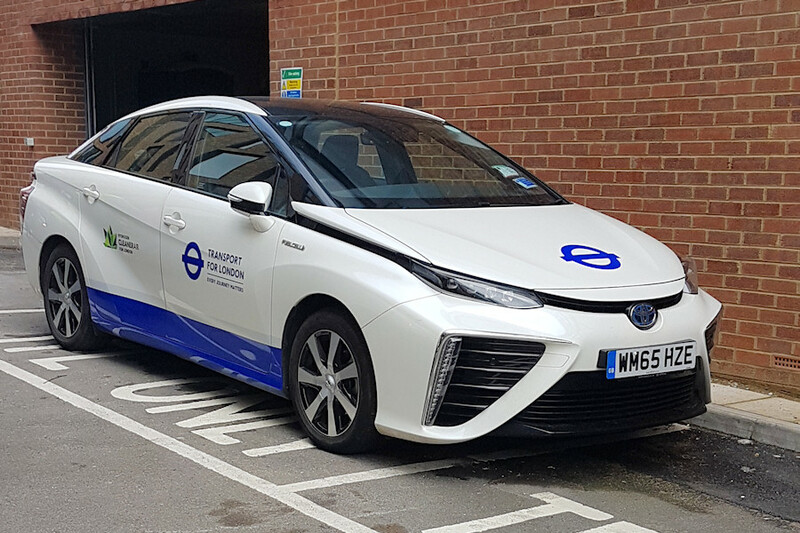 Details: The two Toyota Mirai hydrogen fuel cell cars at Uxbridge seem to have reverted to being kept in the alley off Bakers Road (ie virtually in the bus station), as shown by WM65HZE on 31st May 2018. WM65HYW was also present. During building work in 2016/2017 they had been allocated parking spaces in nearby Redford Way, though one was also seen there as recently as April 2018.